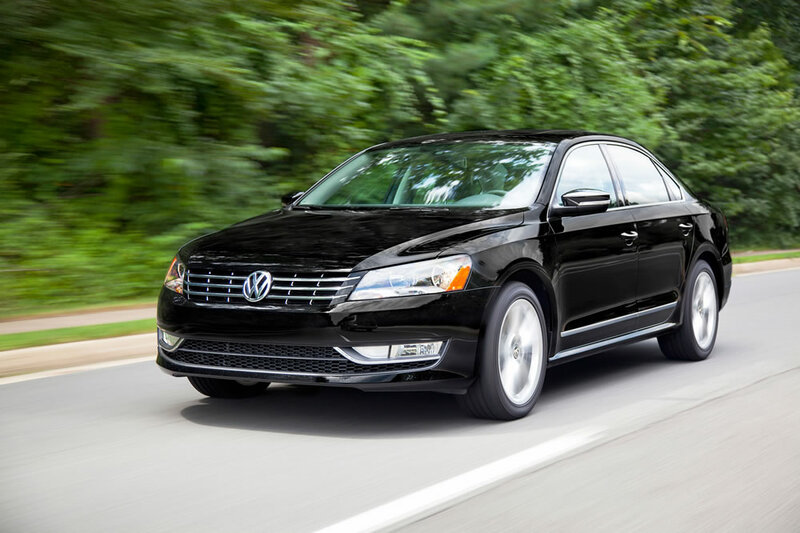 This week, it’s Volkswagen’s 2014 Passat SEL Premium Sedan we’re testing, built by American craftsmen in Chattanooga, Tennessee. Passat for 2014 comes with the expected quantity of German engineering one expects in a Volkswagen, even one that’s American built. Starting at just $20,845 with a 1.8 liter turbocharged engine and five-speed manual, Passat’s fuel economy is noteworthy with 24 city and 35 highway the EPA averages. The turbo 1.8 replaces the 2.5 five-cylinder engine, which delivered just 21 and 28, respectively. The 1.8 turbo engine with a six-speed automatic powers most of the Passats for 2014, as customers are treated to 13 distinct models at the showroom. Our tester’s bottom line sticker came in at $31,715 as just an $820 delivery fee upped base of $30,895. This “no option” situation comes thanks to top line SEL Premium’s standard features that include 18-inch alloy wheels, navigation with touch screen, Sirius/XM satellite, power sunroof, Fender Premium Audio, rear camera safety system, every power imaginable, folding rear seat with center armrest and pass-through, Halogen lights, leather power seats and much more. 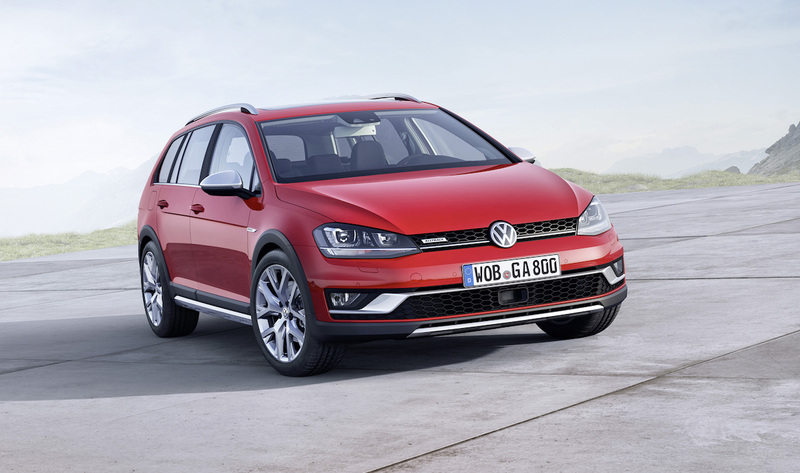 Overall, when you select the top line SEL models, you’ll get just about everything VW has to offer. The 1.8 turbo four produces 170 horses and 184 pounds of torque. It comes standard in the SEL with the Tiptronic six-speed automatic that delivers low RPM numbers while cruising and very good EPA numbers at 24 city and “one less than the manual” 34 highway. If you want even better fuel mileage, consider Volkswagen’s TDI (Turbo Direct Injection) Diesel (31 city/43 highway starting at $26,675), or, if you want more power, the 280 horse V6 Passat (starting at $29,675). Passat’s exterior is no longer boxy and falls in line with more progressive Audi styling. Still, it is comparable to others in the VW family, like Jetta, with solid good looks. 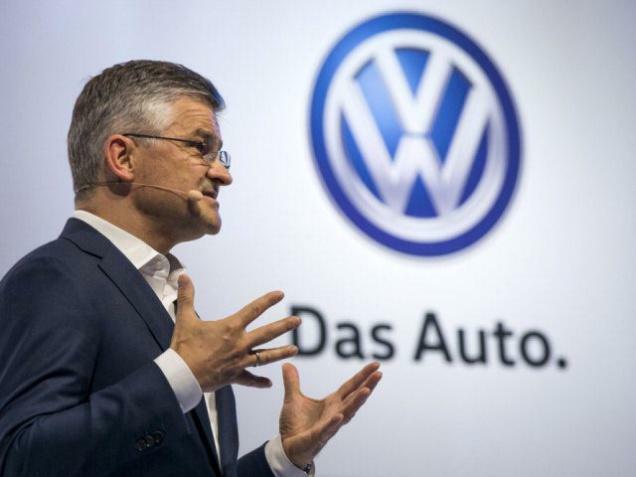 The grille’s large VW logo is still prominent, while the rear deck is simple, graceful and overall nicely done. Inside, Passat’s cabin is highly regarded with roominess a welcome feature, even in the back seat. The gauges are well lit while beautiful wood-trim greets driver and passenger. Additionally, firmer but not uncomfortable seating is appreciated and the expected “tighter” German steering wheel feedback is built into every Passat. Underneath, Passat adheres to its VW/Porsche/Audi family background of great handlers, offering first-rate behavior in cornering and a cozy, tranquil turnpike experience. The independent suspension with McPherson struts up front and a four-link rear allows steadiness regardless of road in front of you. Important numbers include a wheelbase of 110.4 inches, 3,230 lb. curb weight, 18.5 gallon regular grade fuel tank, 15.9 cu. ft. of trunk space and a 5.4 inch ground clearance. In ending, Passat is worthy of the numerous automotive awards received, including Motor Trend magazine’s most desirable “2012 Car of the Year” award. It also scores excellent in Consumer Reports magazine reliability records, another big plus when shopping this market. Volkswagen’s Passat, regardless of model choice, is worthy of a Test Drive “Best Buy” nod and rates serious consideration from consumers of all ages. Likes: Roomy cabin, design, Audi-like build, handling, quiet. Dislikes: Powertrain warranty still just 60,000 miles instead of the now customary 100,000. (Greg Zyla writes weekly for BestRide.com and GateHouse Media). 2013 Volkswagon Beetle Luxury Car?